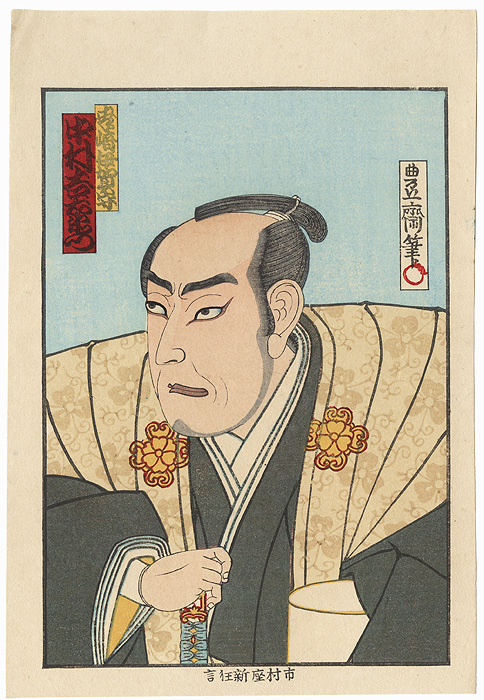 Small Kabuki Portraits - Handsome design from a series of small kabuki portraits by Kunisada III. 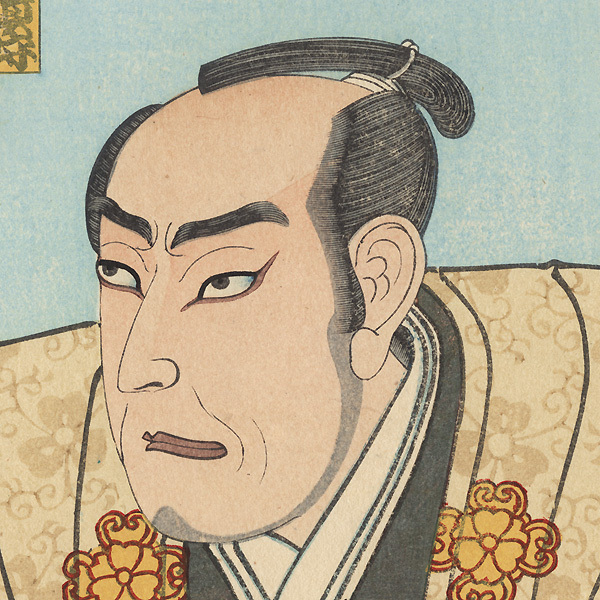 These bold images feature detailed, half-length portraits of kabuki actors, sensitively drawn, with expressive faces capturing a range of emotions. The figures are attractively colored, and set off by solid-colored backgrounds. Some feature deluxe treatments such as burnishing, embossing, or touches of mica. 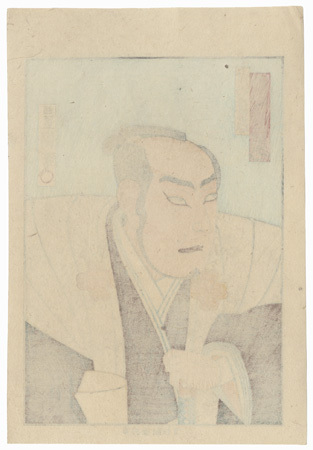 A nice opportunity to select a fine Meiji era actor portrait. Condition - This print with excellent color and detail as shown. Small crease at corner. Please see photos for details. Nice overall.